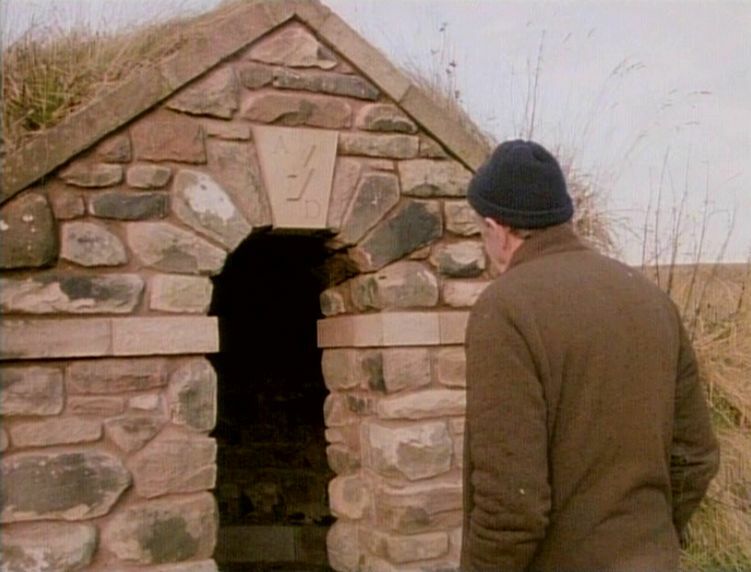 Landscape artist, poet, sculptor, and painter Ian Hamilton Finlay is best known for the transformation of his Lanark farmhouse, near Edinburgh, Scotland, which he started in 1966. The estate is a miniature ‘republic’ of symbolic sculptures, temples, and conceptual artistic pieces woven into the fabric of his garden’s flowers and water. Next to the gate that opens on to the domain there is an oblong brick monument of about three feet high. A bronze plaque shows a machine gun. A line from Virgil runs across the top - "Flute, begin with me" - and below the barrel, which punningly suggests a flute, is the date: February 4 1983. The monument commemorates the First Battle of Little Sparta, which took place here when the sheriff officer of the Strathclyde region attempted to seize works of art from Finlay’s property, in lieu of rates amounting to £500 due on a farm building. The region categorised the structure, originally a barn, as an art gallery,whereas Finlay claimed it was a garden temple. The sheriff officer was thwarted by a group of Finlay’s supporters known as the Saint-Just Vigilantes, after the French revolutionary. The farm was now known as Little Sparta. Finlay’s use of imagery and language associated with warfare and the Nazis had caused stuttering and frowns among the public and critics. Stepping from the farmhouse at Stonypath into the first garden, the viewer is greeted by a stone that says "Achtung Minen!" ("Beware of mines"). Model fighter planes rest on plinths, aircraft carriers serve as bird-tables and machine guns peep out from shrubs. What level of irony is being plumbed? This ambiguity in the work of Finlay fascinated both Jef Cornelis and screenwriter Chris Dercon, certainly after Catherine Millet had accused the artist in the French magazine Art Press (June/July 1987) of an unhealthy fascination with Nazi iconography. Soon after, this commotion would lead to the suspension of an assignment for the French Ministry of Culture on the occasion of the birthday of the French Revolution. The opening images and the soundtrack of the film immediately evoke the atmosphere of a Hitchcock thriller. 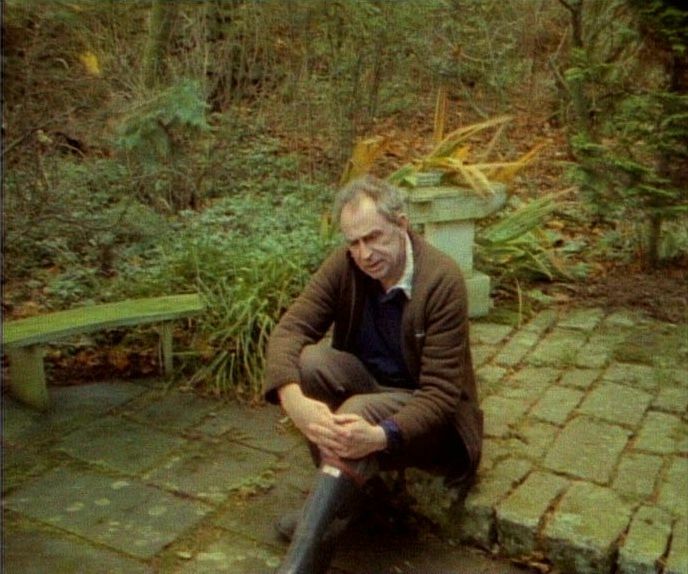 Finlay guides the camera team around in his temple and his garden, which looks grey and poor during the harsh winter months. The desperation of Cornelis and Dercon is pronounced in a final interview, when Finlay fumes at the questions about his alleged sympathies and ideas with regards to the Third Empire. The film was finished several weeks later, but under Finlay’s pressure, who had instituted legal proceedings in France by that time, the VRT network never broadcasted it. 00’00" Chris Dercon phoning Ian Hamilton Finlay from a phonebox in Dunsyre and setting off by car. 01’17" Chris Dercon walking round Finlay’s garden past his sculptures. 02’30" Title. 23.11.1987. Finlay showing the sculptures in his Roman Garden. 07’25" Ian Hamilton Finlay walking through the Front Garden, the Woodland Garden and towards Lochan Eck. 08’45" 24.11.1987. Finlay talking about himself as he walks past Lochan Eck. 11’00" Views of sculptures in the garden and of decorated tiles. 12’30" Finlay talking about the First Battle of Little Sparta (archive photographs) and showing the memorial. 16’30" The next day, Finlay near the work devoted to Saint-Just : The Present Order is the Disorder of the Future. Saint-Just. 19’50" Finlay next to the Temple of Philemon and Baucis explaining the story behind it. 23’15" Woodland Pool. 24’50" 26.11.1987. Visit of the Grotto of Aeneas and Dido. 28’30" 27.11.1987. Garden Temple. Finlay talking about the installation. 32’00" Discussion between Finlay and Dercon concerning the garden and sculptures. 40’35" Credits. 41’00"